TWO one-nil victories, six points out of six and top of Group D - Mick McCarthy’s second reign as Republic of Ireland manager has got momentum. A fine finish from Jeff Hendrick in Gibraltar last Saturday night sealed the first three points of Euro 2020 qualification – and an even better strike from Conor Hourihane clinched another three last night against Georgia. Ireland’s performance was laced with quality at times, courage, hard graft and the odd heart-in-mouth moment, especially when Jaba Kankava’s pile driver towards the end of a tense encounter came off Ireland’s upright. The home side produced a gutsy first half that yielded the all-important goal after 33 minutes while the second half was watched behind clasped hands at times. 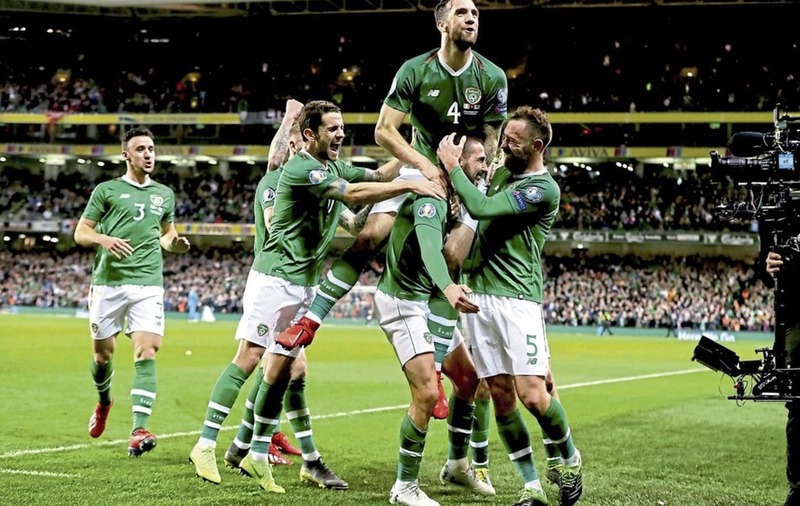 While no-one should forget the early Martin O’Neill years and qualifying for Euro 2016 and all the drama that unfolded in France, the football the side played in his last 12 months was woeful. McCarthy’s sides have always tried to get the ball down and play through midfield. There wasn’t much sense of that three days earlier in Gibraltar, but there was plenty of evidence against Georgia that suggests the Irish will try to play a more expansive brand of football. At times in the second half, the performance was rough around the edges but there was less hoofing the ball up the field – although when the defence was forced to do so, man-of-the-match David McGoldrick turned them into something decent with his excellent hold-up play. Alongside McGoldrick, McCarthy has made room for a couple of technicians in his line-up. Hourihane delivered two composed midfield displays over the last three days and doesn’t look like giving up his jersey. Enda Stevens never stopped breaking forward from left back and didn’t lose too many balls either. But part of Ireland’s DNA is hard graft – and plenty of it. And that’s what got them through in the closing stages last night. McCarthy made two changes to his starting line-up that laboured in the desperate conditions in Gibraltar three nights earlier. 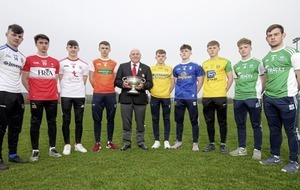 In a bid to stymie Georgia dominating possession in the middle of the field, striker Sean Maguire was sacrificed and Robbie Brady, a 73rd minute substitute on Saturday night, came into the side. The manager also promptly ditched the Matt Doherty on the right side of midfield experiment after it yielded little dividend in Gibraltar and made space for Glenn Whelan, the unlikely comeback man, in a reconfigured five-man midfield. Only a few short months ago, the veteran Aston Villa defensive midfielder was afforded a farewell game against Northern Ireland. But, interestingly, the player maintained that he hadn’t retired. Martin O’Neill went out one door, McCarthy came in another and duly recalled the 85-time capped Dubliner. Last night, he was back in Ireland’s midfield engine room beside his clubmate Conor Hourihane, with Brady coming in off the right flank and Hendrick given the freedom to roam in front of them. With Whelan and Hourihane the two sitters in midfield, McCarthy’s decision to tweak the shape of his midfield had sound theory behind it, and it didn’t take any attacking thrust away from the team. The last time the sides clashed, a 2018 World Cup qualifier in Tbilisi in September 2017, they drew 1-1. Georgia’s starting line-up last night had six survivors from that game while Ireland had five. The Republic were played off the park that night, and generally have been any time they play the Georgians. For most of the opening half, Hendrick looked reborn. Scorer of the winning goal in Gibraltar, the Burnley man was full of running and clever, incisive short passes that the visiting defence struggled to get to grips with. McCarthy commented in the build-up that he wanted to press the Georgians higher up the field and his players carried out those instructions to a tee in the early stages. It was Hendrick’s no-nonsense tackle on Jaba Kankava in the middle of the field that set Hourihane free in the 11th minute, but the Aston Villa midfielder was denied by a fine save from the imposing Giorgi Loria in Georgia’s goal. For once, it was the Georgians who were struggling with the fluidity of Ireland’s midfield. Brady and Hendrick swapped positions on umpteen occasions while Seamus Coleman timed some of his attacking runs to perfection in the opening 45 minutes. Lone striker David McGoldrick had a snap shot that breezed wide of Georgia’s upright after intricate play involving Burnley team-mates Hendrick and Brady. It took the visitors, who were licking their wounds from last Saturday’s 2-0 home defeat to Switzerland, a good 20 minutes to find any rhythm in their play but they lacked penetration in the final third. But just when the Georgians had appeared to have drawn the early sting out of McCarthy’s men, the home side went in front through a superb left-footed free-kick from Hourihane – Ireland’s best-kept secret up until his man-of-the-match display in Gibraltar. McGoldrick was hauled to the ground after a clever spin away from Guram Kashia. As Hourihane sized up his angles, his pristine free-kick was delayed as tennis balls rained onto the pitch – a novel protest from the home supporters against the FAI board and the recent financial revelations surrounding high-profile chief John Delaney. As stewards kicked the tennis balls off the field, the delay clearly didn’t bother Hourihane whose curling free-kick from 25 yards rippled Georgia’s net. Up to Hourihane’s 33rd minute scorcher, the Irish defence were untroubled – but deep into first-half stoppage-time they relied on a smart reaction save from Darren Randolph to keep out Valerian Gvillia’s close range effort. There were a few half chances for both sides at the start of the second half but both goalkeepers were largely untested. Enda Stevens saw a scuffed effort breeze past the post in the 69th minute from close range, while McGoldrick was unlucky with another chance. Georgia pushed for that elusive equaliser but the Irish back-line defended stoutly and just about managed to see out the game. It was nervy and tense in the final minutes – but nobody could dispute the outcome. Rep of Ireland: Randolph, Coleman, Duffy, Keogh, Stevens, Hourihane, Hendrick, Whelan, Brady (O’Brien 74), McGoldrick (Doherty 81), McClean.